This is exactly what I needed for hard to reach areas: skylights, tops of staircases, and ceilings. I love this Duster! I have high ceilings and it's great! It reaches my high ceilings with no problem. It is good for those hard to reach places. The only thing I didn't like was that the dusting head was rather stiff. I would have liked it to be a little softer. 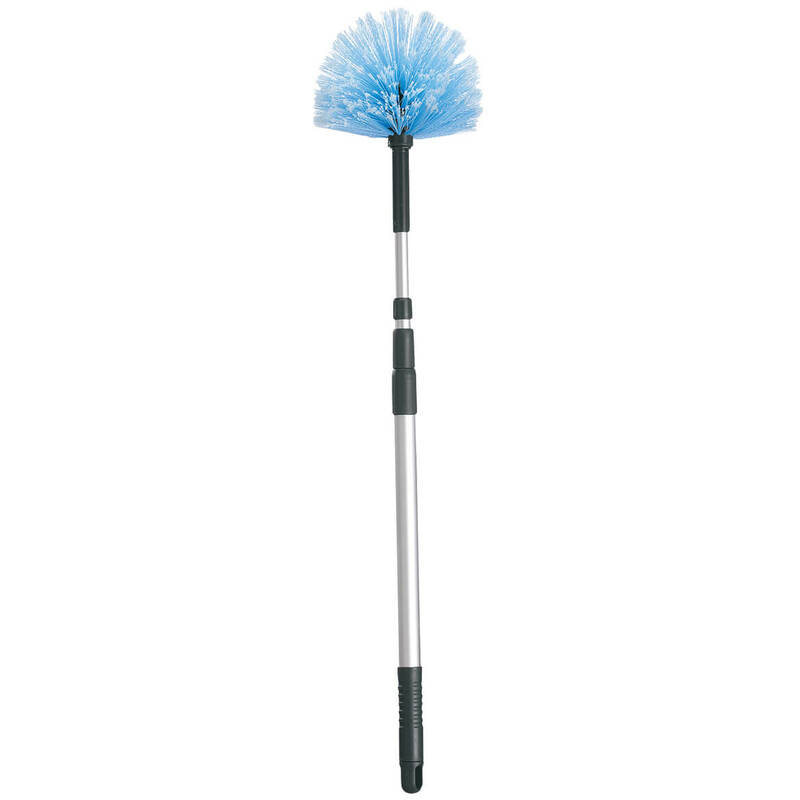 I got it for cleaning off cob webs and dust from corners of rooms. went to take it out to clean off and the head broke off all the way as I tried to gently clean it. bad design. I am not tall or young anymore meanng I cannot climb. I need to reach in the corners near the ceiling as well as the ceiling fan blades. Thought this product would allow me to do just that. 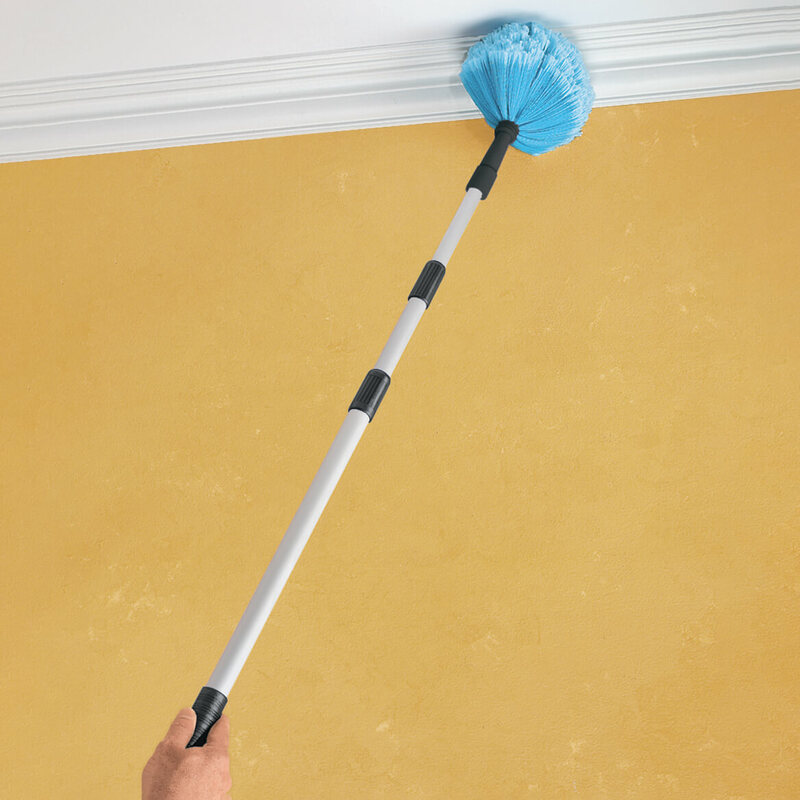 To simplify cleaning and avoid having to drag a ladder into the living room. 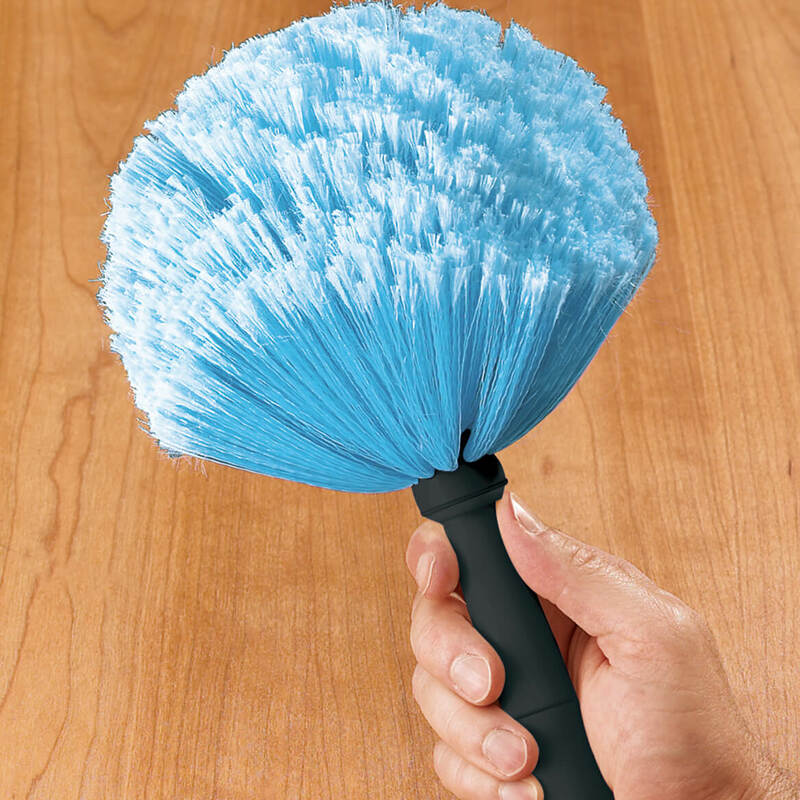 Seem like a good product in which to dust and clean my ceilings, especially, around the vents! best tool ever for dusting ceilings and base boards. Mine was used so much and I needed a new one. my dad likes to do his own dusting. Like this type of fiber for dusting odd shapes.. I have high ceilings and I had one of these which I really liked but my husband ruined it by doing something with it. Have ceiling fans and this works well. It will be great to reach those high places without having to use a ladder. I have really tall walls. It'll be nice to finally be able to reach them. I have a hanging that needs to be dusted and it is too high to reach. Need a long reaching duster. does the top actually screw on to the pole?